Paris | Moscow | Hamburg | Reuters – Searing heat has devastated wheat fields across northern Europe while a combination of dry conditions and extreme rain in the Black Sea have hit output estimates, with prices soaring on fears of further crop damage. As harvesting progressed north Agritel revised its estimate for the European all-wheat crop by 3 million tonnes in the past week to 136.6 million tonnes, down 15 million on year, Poncelet said. Euronext milling wheat futures hit a more than five-year high of 214.50 euros ($249.36) per tonne on Thursday. Although a further rally in wheat could eventually inflate consumer prices, said Abdolreza Abbassian, chief economist at the United Nations’ Food and Agriculture Organisation (FAO), the impact should be curbed by stocks from 2017’s hefty harvest. Crops have not been as badly damaged in France, where harvesting had already started as the heatwave hit, and its wheat exporters are now seen as the main beneficiary of their neighbour’s weather woes. Strategie Grains sees the Russian wheat harvest falling 18 percent this year, Defois said. Russia harvested a record 85.7 million tonnes wheat crop in 2017, durum wheat included. 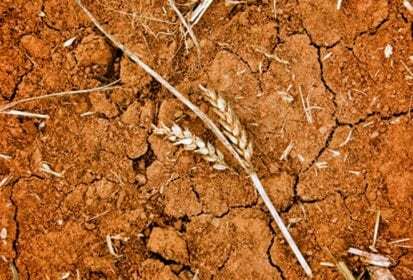 In Ukraine, which exports the vast majority of its output, the wheat crop was seen falling up to 16 percent to 22-23 million tonnes after a spring drought and torrential rains in summer, the country’s farm minister said. – Reporting by Sybille de La Hamaide in Paris, Polina Devitt in Moscow, Michael Hogan in Hamburg, Pavel Polityuk in Kiev, Radu Marinas in Bucharest, Nigel Hunt in London and Julie Ingwersen in Chicago.